This Sunday (October 7), join Jessica Soho — widely regarded as the country’s most credible broadcast journalist — together with award-winning documentarists Kara David, Maki Pulido, and Atom Araullo as they present and seek answers to one of the most pressing issues of today in “Walang Unli-Rice: A GMA News and Public Affairs Special”. As the supply of NFA rice runs out in their warehouses, the price of commercial rice has also begun to soar. 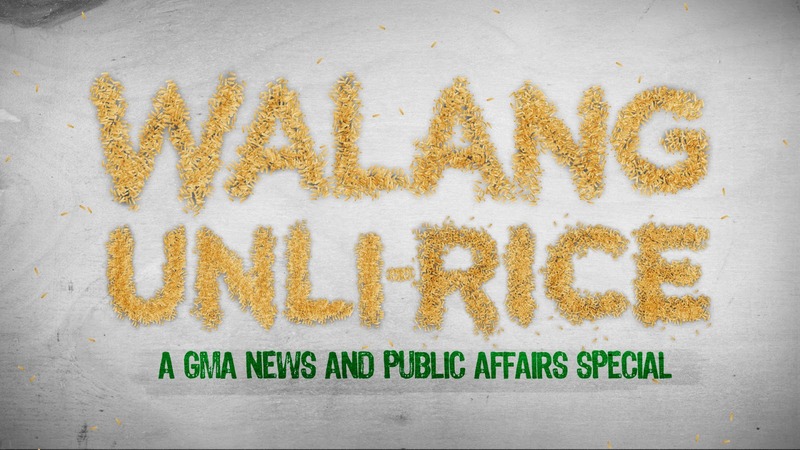 In Mindanao where poverty remains at alarming levels, rice is now considered a luxury. The family of Albasin and Norain Tanjilani, residents of an island part of Zamboanga now totally abstain from taking rice with their meals.